← Niki & The Dove : Swedish indietronica duo talk poetry, politics and pop music. 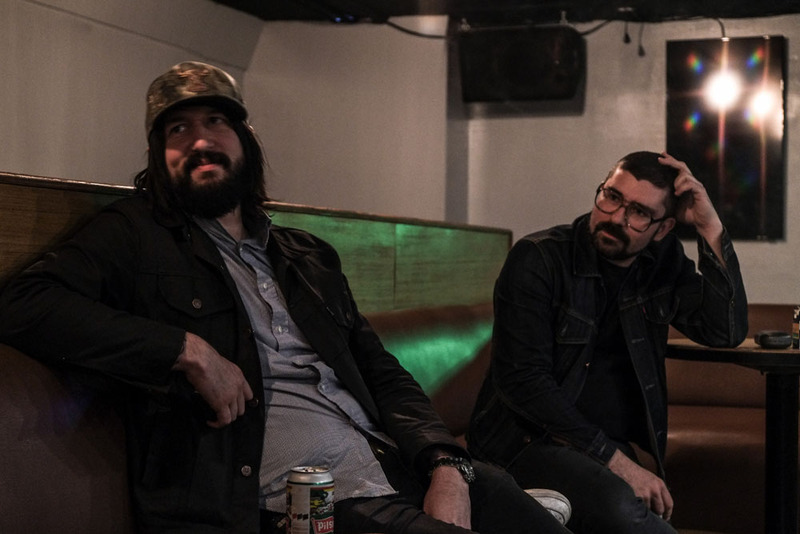 When MSTRKRFT dropped their second album, Fist of God, in 2007 they were able to combine their heavy electronic beats with the flows of artists like John Legend, NORE, Ghostface Killah and E-40. This was years before the combination would really be adopted by more mainstream acts and there was nothing else like it at the time. This proved to be somewhat beneficial for the group as they were able to get some serious talent on the album and since no one really expected much to come out of it they requested little in form of payment. This made the record feasible as no one really thought that much would come of the album and so didn’t ask for much in return. However, being so far ahead of the curve doesn’t help much when others are so slow to follow, and despite being recognized as trend setters in this style of music, MSTRKFT was not really able to capitalize on the idea. MSTRKRFT was on tour nearly continually from 2006 through 2009 playing shows all around North America and Europe. “In 2009, on Air Canada alone, we flew 93 flight segments. That’s how much we were traveling,” says Al-P. This was the busiest time of their career as they were touring nonstop and producing albums and singles. The performances they were doing, however, were taking them further away from the music and the fans that they wanted to be playing for. 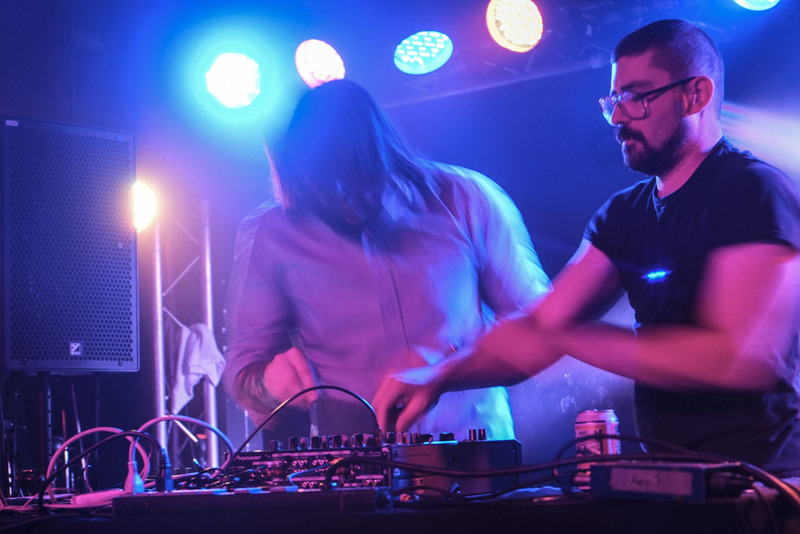 MSTRKRFT acknowledges that there is a lot of money to be made playing what people want to hear and there is the possibility for a long career performing mixes of the top 40 songs. But that is not what MSTRKRFT wants to be about. “When we would go play, say Coachella for 10,000 people and our attitude was lets go scare them.” says JFK. During that time the performances that they were doing were not exactly giving them the opportunities to scare people as often as they wanted. JFK recounts a story of playing at a Tampa pool party, which he admits was an awesome party, but it was not the scene that they wanted to be playing for. This was what prompted MSTRKRFT to go on hiatus in 2011, taking a step back from the music scene. During their time off, JFK got back together with his other group Death from Above 1979 and Al-P was continuously producing. In the interim, the EDM scene continued to grow and with that growth, as JFK says, it has become more segmented whereby there is now space for this crazy group of old punks who want to scare people. 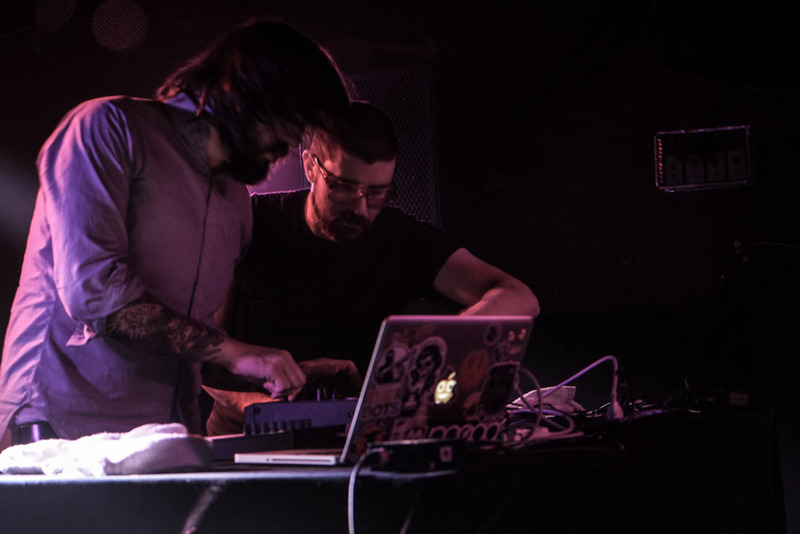 Along with the growth of the scene, MSTRKRFT has been able to assemble the equipment that they want, and their analog synthesizers and drum machines allow them to really play this music in a live setting. Having built up the equipment over the years, the duo was able to record their music in a way which is more similar to a live band recording in a studio than a DJ overlaying beats on a computer. This has allowed MSTRKRFT to bring their music back to a place where as operators they are able to play the music live. “You are not getting any visual stimulation, and it really changes the way that you guide what the sequences are doing and the patterns that you want to program on the fly. You are not seeing a grid to tell you what the pattern is, you are just using your ears exclusively and if something doesn’t sound right then you react accordingly,” explains Al-P. The name Operator is also a recognition of the relationship between the equipment and the operator, whereby the operator is guiding but not fully in control of what the outcome will be. There is a feedback loop and what you get out of the other side is often not entirely what the operator intended. This romantic notion of creating the best music on the fly with analog equipment is what brought about MSTRKRFT’s new album and touring set up. They are able to set up their equipment and play what sounds right without the guidelines of a computer telling them what was the technically correct way to do things. With this latest release and their tour it seems like MSTRKRFT is finally beginning to be able to do what they envisioned when they first formed in 2005. But as artists, they are always looking to push into the next thing which, for them, has meant making their equipment portable so that they are able to set up in any location and play live. This also allows them to get together with other artists around the world and record new music on the fly, whether that is with vocalists or other electronic artists, and to be able to drive the music forward every day. MSTRKRFT is still restrained by the industry of a decade ago when they signed their record contract, which is why they continue to release LPs instead of producing music in smaller batches on a more regular basis. This is something that they struggle with. “When we started playing together again at first our instinct was lets just give it all away, but then we didn’t want to make a bunch of money for other people that they don’t have to pay us for.” Says JFK. Finding the balance between their artistic tendencies and the realities of the business side of the music industry continues to be the largest frustration that MSTRKRFT has to contend with. As the industry continues to evolve, it will hopefully catch up with the vision that JFK and Al-P have had for years. MSTRKRFTs new album Operator will be released on July 22. They are currently on tour around the United States and Canada.